Great Experience with Mr. Lincoln? I took part in a investigation of a historic house recently, along with fellow investigators Rob Wlodarski and Wayne Bonner. We had set up in the dining room area down stairs for an EVP and ITC session. Rob had set some motion sensors on the stairs which were behind us and in the breakfast nook area to the left of us. 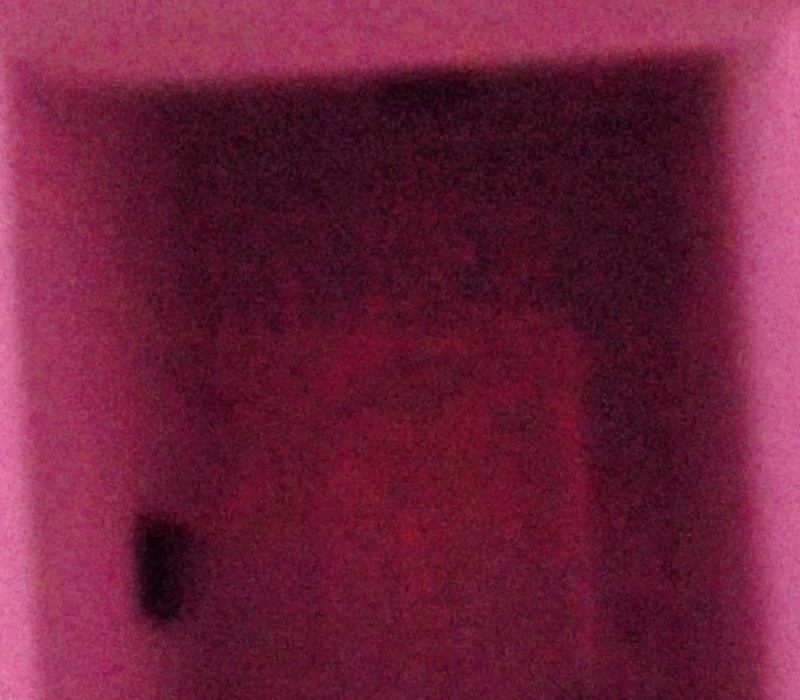 It was during our EVP session that both motion sensors were going off. 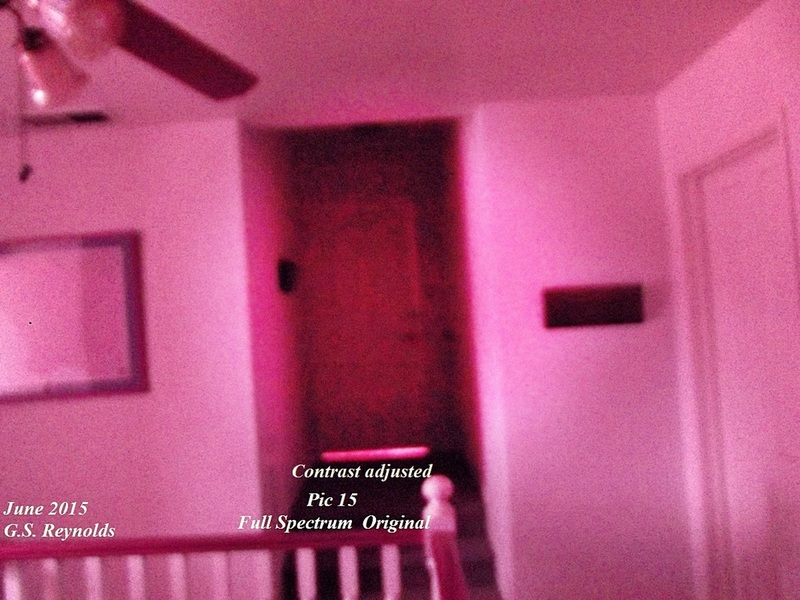 Interestingly enough, we found the motion sensor in the breakfast nook went off when Rob or Wayne took a picture using flash. However the sensor on the stairs behind us, I'd say a good 15 feet at least, occasionally was going off and it should not have been effected by the flash of Rob or Wayne's cameras. 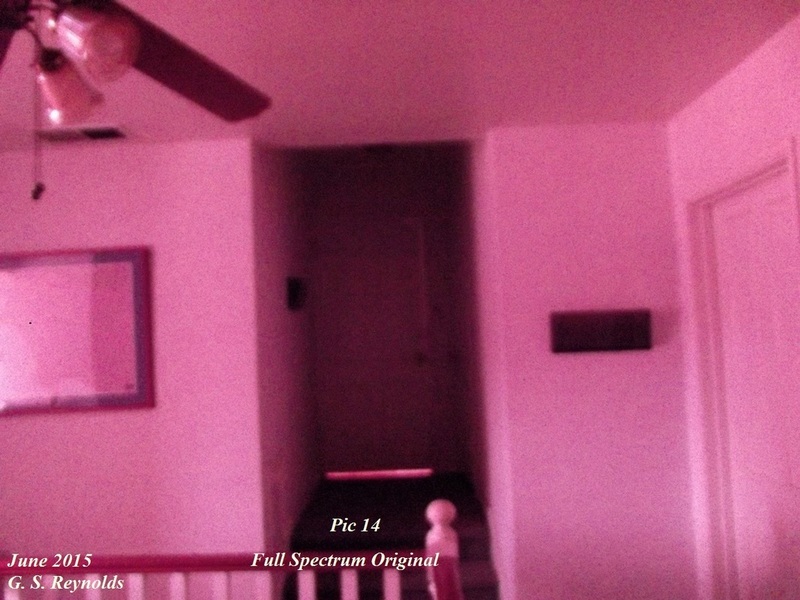 I walked over to the stairs with my full spectrum camera. I utilize no flash. Only high ISO which allows in more light to the aperture. 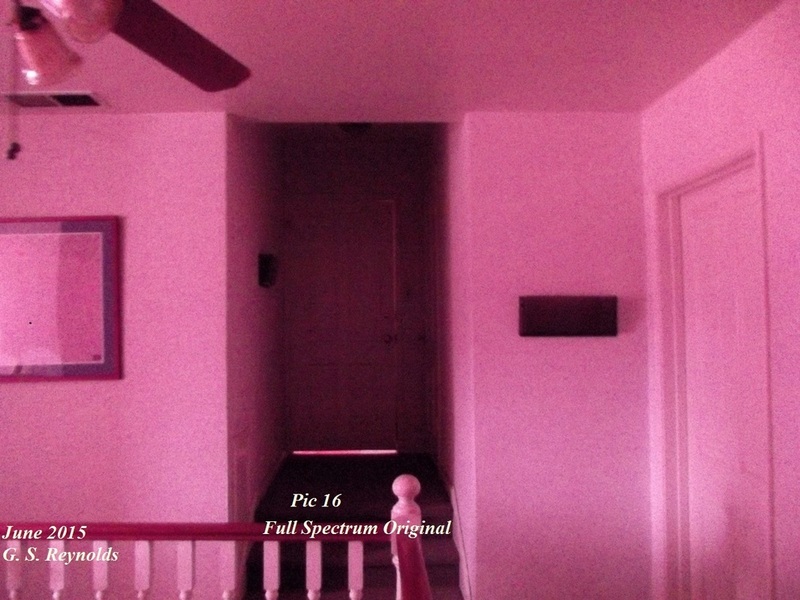 I took some random photos including 3 of the door way leading to a room upstairs. The 1st photo, (Pic 14) and the last (Pic 16) are clear. The middle photo (Pic 15) appeared to be different. The photo to the left here is a zoomed in picture with the contrast and lighting adjusted. You decide for yourself what you see. No claims are made here other than this is a picture of interest. Pic 16 the last of the three photos and you can see the photo is clear. Larger view of Pic 15 the second of the three photos. This is original distance and lighting. No adjustments have been made to contrast etc. 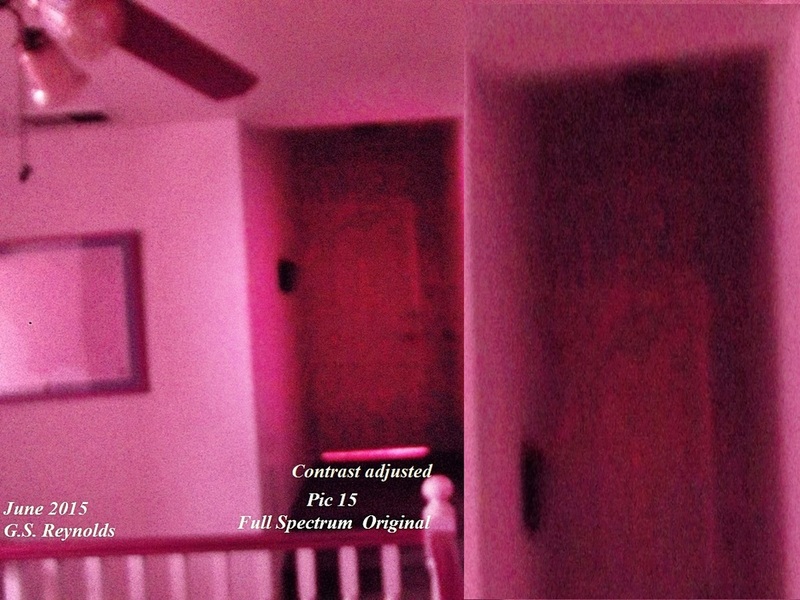 Depending on the settings on your monitor, if you look closely at the door near the top you can see there is something different in this photo from Pic 14 the first photo. Pic 16 the third and last of the three photos. Again the door way appears to be clear. This is the original photo in terms of distance and lighting. No adjustments have been made to contrast, etc. Here is the same photo of Pic 15 above. The second of the three photos. Differences is the contrast and lighting as been adjusted. Distance is the same. Here I have inserted a more zoomed in photo to the right. In comparison to the image of Pic 15 at its original distance. Both contrast and lighting has been adjusted. Do these photos prove anything? Not in of themselves because there can be many explanations as to why we see what we do in photographs. I will leave it up to each individual to come to their own conclusions and formulate their own opinions. I have mine. This image in Pic 15 is not the first one of its kind that I have captured. I caught a very similar type image on the RMS Queen Mary in 2011. That photo is on this website on another page.